The end of July leading into the beginning of August marks an exciting time for the LGBTQI+ community in Vancouver – it’s Pride season! Rainbow flags proudly hang on the porches of apartments, restaurant patios, and store fronts. Besides the Pride Parade, Vancouver Queer Film Festival and The Really Gay History Tour, check out these pubs and nightclubs located in Davie Village if you’re looking to celebrate into the night! A popular pub located at the entrance of Davie Village, Fountainhead Pub opened its doors to patrons in 2000. They offer a variety of pub food as well as beers, ciders, and spirits. There are two dart board machines and a pool table, so if you’re looking to challenge a few friends to some games, hit up The Fountainhead Pub for the weekend! 1181 is a popular bar and lounge located by the Rainbow Crosswalk on Davie Street. This upscale lounge is the places to be if you’re interested in trying exclusive cocktails and spending your night watching drag shows. Their modern interior sets a great mood for a night out with friends! Known as one of the most successful clubs in Vancouver, Celebrities has been in operation since the 1980s. With two bars on either side of the large dance floor, Celebrities will be holding several Pride events this weekend. From drag shows to out-of-town DJs, this will definitely be the place to be if you’re looking to dance the night away to celebrate Pride. Click the link below for specific events and tickets. Hours: Hours may vary for Pride, click here for more information! A historic club for the gay community here (celebrating its 36th year!) and holding the title for the longest running gay club in Vancouver, Numbers Cabaret continues to bring great music, drinks, and atmosphere to their guests! This two floor club offers a dance floor as well as a pool table area by the bar – it’s a great location for people looking to party and relax! Junction Pub offers a week-long of activities throughout Pride. From dance parties to trivia night, you’ll definitely find something that suites your group. Open to 4AM for Pride, we recommend lining up early to skip long lines later – trust us, there will be a long line to get in! Flygirl Productions is known for creating the most exciting and memorable lesbian parties. Their events are “inclusive of all genders, sexualities, ethnicities, and body types. Check out the CHICAS in the AFTERNOON party at the Sheraton Wall Centre or The Pride Hershe Bar-Closing Party at the Red Room and MIA nightclub! Both events will be happening on August 5th. Location and Hours: Locations and hours may vary, click here for more information! Vancouver’s worldwide reputation for diversity and inclusion becomes especially visible during the enormous Pride celebrations that occur at the end of July and first weekend of August. This year we have Vancouver’s very first all ages Pride dance! Prance on the Pier will start at 5pm on August 2nd in The Shipyards at 25 Wallace Mews in North Vancouver. There will be food, games, drag performances, and much more! This is an all ages, family friendly, and free event for folks who want to celebrate pride and dance the night away. The West End is the home of Davie Street, where the gay and LGBTQ2+ subculture and community thrive. On the Friday before Pride weekend Davie Street is closed off from Burrard all the way to Jervais for the Davie Street Party. This year’s Davie Street Party is on August 4th from 6 pm until midnight; there will be vendors, performers, art installations, two stages, and the infamous Silent Disco. Davie Street is also home to many fantastic restaurants and businesses which will be open during Davie Street Party. On August 5th the Terry Wallace Memorial Breakfast begins at 8 am. It will be in the Jim Deva Plaza next to the famous rainbow crosswalks at Davie and Bute Street. It is a by donation community breakfast honouring one of the founders of pride in Vancouver. He is remembered as a warm and friendly individual who worked hard to keep the Pride Parade afloat in the beginning. Terry Wallace managed the old Castle Pub and he was the backbone of Pride parade during the 1980s and 90s. Wallace and fellow bar owner Garry Penny, along with board member for Pride Community Foundation Rob Atkinson, all managed to pull together the very first parade in less than 3 months. And finally Pride week ends off with the famous Vancouver Pride Parade on August 6th. The parade starts at 12pm at Robson St. and Bute in Downtown Vancouver, proceeding west on Robson St. to Denman St., then south to Beach Ave., ending at Sunset Beach. Vancouver’s Pride Parade is known as one of the biggest in the world and reportedly has around half a million attendees every year. Last year the parade had special guest Prime Minister Justin Trudeau march alongside various community, independent, and corporate groups. It is 3 hours of rainbows and music, and where one can see the diversity of the LGBTQ2+ community and its allies. While the parade is marching along there will be a large Pride Festival at Sunset beach. There will be various food and merchandise vendors, a large stage with different performers and all sorts of fun activities. Vancouver`s Pride Parade started as a protest against the oppression, discrimination, and marginalization of the LGBTQ2+ community in Vancouver. Vancouver is lucky to be able to celebrate its LGBTQ2+ community and have one of the largest Pride Parades in the world. Amongst the glee, glitter, and gaiety there`s an important history still being made. It is important to remember that LGBTQ2+ folks are still being discriminated against for their various identities and Pride is an important part of recognizing the experiences of LGBTQ2+ folks. Pride celebrations are an important statement for declaring and celebrating the existence of LGBTQ2+ folks. Vancouver and Vancouverites are fortunate in being able to proudly fly the rainbow flag because many are unable to. Canada’s largest food and drink festival is returning to Vancouver this month. If you are visiting the city from January 20th to February 5th, 2017, this experience is one not to be missed. Celebrating it’s 15th year, Dine Out Vancouver Festival includes over 280 restaurants offering three (or more) course prix-fix meals at $20, $30 or $40 per person. Over the 17 days, festivalgoers are given a variety of dining experiences not offered throughout the rest of the year. Some of these include guided dining adventures, brunch crawls, cooking classes and cocktail masterclasses, guest Chef lectures, wine and craft beer tastings, street food markets and more! There are also special hotel rooms rates which allows visitors to experience a true “night on the town”. Most restaurants are now accepting reservations, so be sure to grab a spot while you can! Here’s a full list of participating restaurants in this year’s Dine Out Vancouver. Pink Elephant Thai Restaurant Ltd. Need a quick refresher to start off your New Year? If so, the annual Polar Bear Swim is just for you! Gather on the beautiful beaches of English Bay with thousands of locals and visitors to welcome the New Year with a plunge into the cold ocean water. Register now! The PuSh International Performing Arts Festival is one of the most anticipated events throughout the year. With exhibitions and performances from local and international artists, you can count on having a splendid time with friends and family. Click here for tickets! Locations and Times: Various locations, click here for more information. 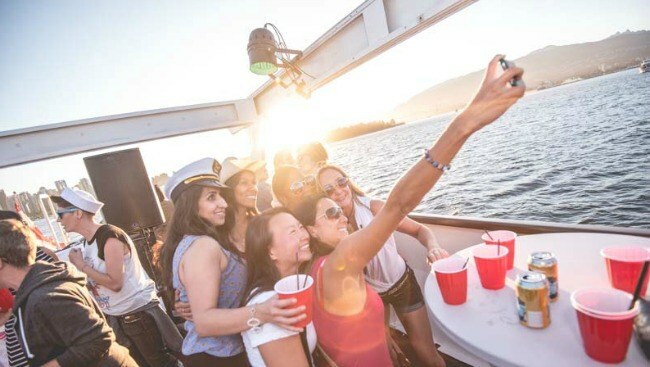 For 5 days in January, join fellow boat enthusiasts for the Vancouver International Boat Show! Spend a day at Granville Island to see the Floating Show, and then head over to BC Place to look at some more spectacular boats! Click here for information regarding tickets. Start your New Year with the Vancouver Chilly Chase! There are 4 distances to choose from, so grab your pair of runners and get ready for a great run around the Downtown Vancouver Seawall! Time: Times may vary depending on the distances, click here for more information! The very first Polar Bear Swim happened in 1920, and since then it has become a Vancouver tradition to take a sobering dip into the ocean to celebrate the first day of the year. Founder Peter Pantages led the first swim with just a group of 10 people. This year, an estimated 2,550 people will take the icy cold challenge. It doesn’t matter if it’s your 57th time or your first time braving the Pacific Ocean; the Polar Bear Swim is open to all. Don’t forget to dress up in a fancy/funny costume! Whether you’re participating as a “polar bear” or just watching the spectacle, make sure to add the Polar Bear Swim to your New Year’s Day itinerary. It’s a must see! This Christmas you won’t have to lose sleep wondering whether or not you’ve made Santa’s naughty or nice list, ask him yourself over breakfast! Taking time out of his busy schedule up in the North Pole Father Christmas himself is headed to Grouse Mountain to entertain guests from far and wide. Enjoy the most important meal of the day with Santa while partaking in activities such as face painting and a magic show. However that’s not all! The purchase of admission to breakfast with Santa also includes a round trip Skyride on the gondola and access to all of the Peak of Christmas festivities. The Peak of Christmas is a popular annual tradition that includes a plethora of different activities and adventures that will keep the family busy from morning till night. After breakfast with Santa go meet his reindeer or visit the Gingerbread village, then go ice skating under the stars, before finally strolling through the Light Walk and taking in the dazzling light tunnel and lanterns. There is no shortage of festive fun up on Grouse Mountain, so bring the family and create wonderful new memories that will surely keep you warm this holiday season! Hours: Breakfast times will vary, please check the website for more details. Join together in the Spirit of Giving for Vancouver 13th Annual Rogers Santa Claus Parade. Beginning at 10:00am, the festivities start off with two hours of family entertainment located at Coast Capital Savings Christmas Square. Christmas Square includes an entertainment stage with live music and dance performances, face painting, letters to Santa station and a gingerbread decorating station. The Parade itself starts off at 12:00pm at the corner of Broughton and Georgia finishing of Howe Street next to Christmas Square. The Parade is also one of the largest food and fund raising events for the Food Bank. Since starting in 2004, the Parade has collected $151,200 and more than 76,400 lbs. of food for hungry families in the Lower Mainland, allowing us all to spread that Christmas joy a little further in the Spirit of Giving. Is the gloomy weather dampening your festive spirit? Are you longingly waiting for the holidays to start? Have no fear, the Vancouver Christmas Market is returning for its 7th year! Back and better than ever, this year the market has moved to a larger venue at the Jack Poole Plaza, site of the Olympic cauldron and conveniently situated near the Waterfront area. With even more space that means that there will be even more vendors and activities to browse through and enjoy! Where else would you find authentic Hungarian Chimney Cakes, Steins (traditional German beer mugs made out of stoneware), artisanal crafts, and even a Christmas carousel? German Christmas markets have existed for centuries and are also known as Christkindlmarkts, this is your chance to experience tradition and culture. As a time for celebration, food, drinks and gifts, this is the perfect holiday getaway right here in our beautiful city. If you’re looking for some holiday fun, a sweet date night or an opportunity to create new family memories head down to the Vancouver Christmas Market to bathe in Christmas cheer – and maybe even meet Santa! While planning your excursion to the market, we do recommend purchasing tickets online to save some time. Besides the regular admission rates for adults, seniors, and youths, there are also 3 packages to choose from if you wish. Their packages range from $20-$50 and include carousel rides, treats, and collectors mugs! Click here for more information on the Vancouver Christmas Market. There are studies that suggest the best way to stay warm and cozy during the winter months is to indulge in feelings of nostalgia and to fondly recall memories of a different time. 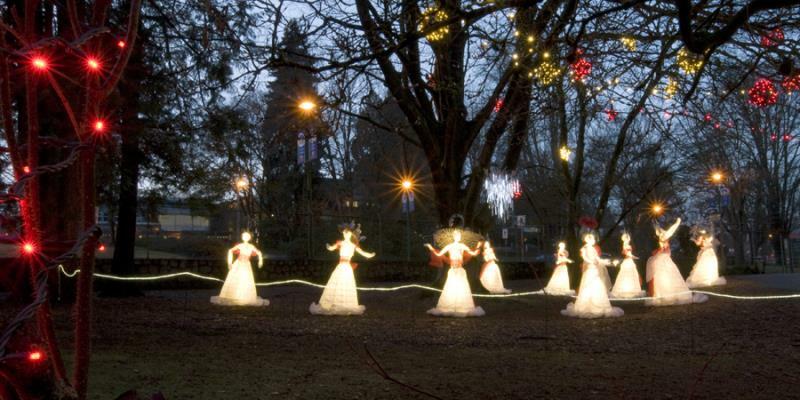 This holiday season you can do just that at Burnaby Village Museum’s Heritage Christmas! The Burnaby Village Museum is where history comes to life ­— here you will find a combination of both heritage and replica buildings meant to represent a typical British Columbian tram-stop community of the 1920’s. The museum is also home to a beautifully restored 1912 vintage carousel, available to ride for a fee of $2.60. The delight it gives to both children and adults alike is sure to create warm memories for all! Heritage Christmas will allow you to experience some old fashioned fun as you stroll down the streets of the Village to see the dazzling lights, freshly cut wreaths, and vintage-themed displays. With special entertainment scheduled throughout November and December be sure to anticipate community choirs singing their carols, street characters wandering in their period costumes, and street musicians playing their tunes. Family activities include a crafts station for the children and of course a visit with Father Christmas. For an even more interactive experience challenge the Twelve Days of Christmas scavenger hunt which will send you searching for clues all throughout the site. Free scavenger hunt cards can be found at the gates and at the Ice Cream Parlour. When: November 19th, 2016 – January 2nd, 2017 – Hours vary, please check the website for more details. Fall is the best time of the year to buy local, artisan and handmade goods in Greater Vancouver. With so many good markets and fairs to choose from, we’ve compiled a list of 3 popular ones taking place this November! The annual Circle Craft Market is the perfect place to do some early holiday shopping. With goods ranging from handmade ceramics, hand knit scarves, jewelry, toys, candles, and soaps there’s something for everyone at this large artisan market. Whether you want to just enjoy the festivity and have a look at the items, or do your Christmas shopping, this craft market is fun for the whole family! To get away from the big crowds around the holiday season, this smaller craft fair is the perfect place to go and relax while enjoying the festivities. The Deer Lake Craft Festival is a tradition that the Burnaby Arts Council has sponsored since 1971. This year there will be over BC 55 artisans and their work selling everything from glassworks, sculpture, pottery, wood, fashion and jewelry. As a special treat, there are door prizes and raffle draws as well as live music and entertainment. 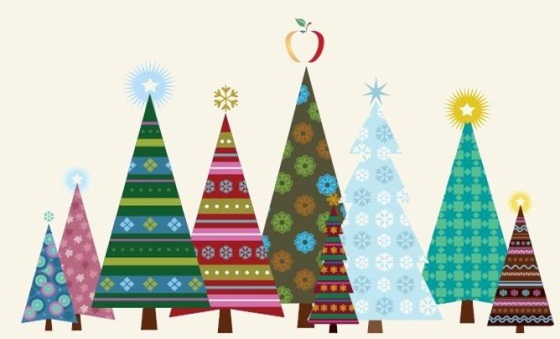 Another great and long running craft fair is the 34th Annual Dunbar Holiday Craft Fair. This year there will be over 140 exhibitors and the attendance is expected to be over 2000! This craft fair is a single day event, which means a concentrated and full day of festivities, shopping, and fun!